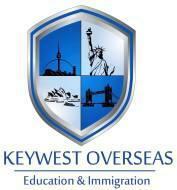 “Keywest Education and immigration consultants” is an Immigration & Educational consultancy we are helping our clients & students to pursue their career abroad and aspirants who are willing to migrate overseas by applying for permanent residency. We counsel students to choose a course of their interest by listing the various opportunities of the field they opt for, including B.S., M.S., Ph.D., Graduate diploma, etc. Training for IELTS, TOEFL & PTE is also a part of our service. We have a tie-up with universities in USA , UK , Canada ,Australia, New Zealand, Spain, etc., and we send more number of students abroad every year. We have counsellors with great experience who aide the students by making a transition between their course levels by suggesting bridge programs like Pre-medical or Pre- engineering programs. Scholarships will be offered to the candidates in the university they choose based on their competence. Keywest conducts classes in GMAT Coaching, GRE Coaching and IELTS Coaching. It is located in Peelamedu, Coimbatore. It takes Regular Classes- at the Institute. PRANSIL FOREIGN EDU SERVICES PVT LTD.